Every brand is unique and it’s that uniqueness that draws your ideal customers to you. But what if you’re not rocking your brand to its fullest? What if customers aren’t knocking on your shop doors and buying everything in sight? Then it may be time to take a deeper look at the foundation of your business and get very clear about the things that set you apart and build the purpose of your enterprise. You can take it two different ways! Barbara is offering the course as a Silver Path and a Gold Path. With the Silver Path, you get to work through your modules at your own pace. You could do all the work over a weekend or over a year. With the Gold Path, you get one week for each module and the added bonus of interaction and feedback from other members and Barbara herself. Since both options have a cap on participants, you definitely want to make up your mind fast! The assignments. In addition to the worksheets, Barbara has created some amazing assignments to help you become even clearer on the base of your business. She sends you out on a field trip to look at how local boutiques are set up and convey their message to shoppers. You also create a collage that represents words, phrases, and images that you feel resonate with your business. This is a great way to get clear on what you are as well as what you are not. When you are clear on your brand (or rocking it, as Barbara would say) you can do more than package your products. You know the marketing techniques and language that will resonate best with your purpose. You know what products you should NOT make as well as those you should. You know what things to say yes to and which will set you farther back from your goal. When you rock your brand, your business has a manifesto (a clear purpose) and you have a whole lot of stress and indecision lifted from your plate. 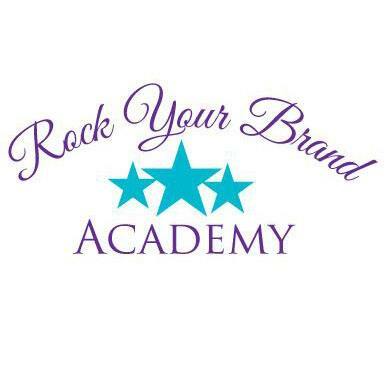 Barbara’s Rock Your Brand Academy won’t be open for long so grab your spot today!